WOUNDED, injured or sick veterans are encouraged to sign up to a new course in Catterick to boost their employment prospects. 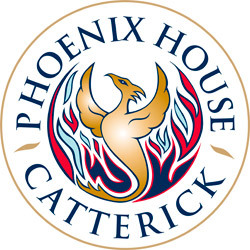 The Pathfinder Experience will take place at the Help for Heroes-run Phoenix House Recovery Centre and is aimed at former members of the military who have been medically discharged or who have developed a medical condition post-discharge. The course, run in partnership with Serve On, a community interest company set up to help the transition from military to civilian life, is split into three phases. With guidance from a mentor, it helps individuals get established back into “civvy street” and preparing for employment. The first stage, INSPIRE, will run from June 16 to 21. It’s free of charge and includes food and accommodation. Phase two, ENABLE, will run from October 6 to 10, while dates for phase three, SUPPORT, will be confirmed in the near future. Sally Mendonca, Supported Courses Coordinator at Phoenix House, said the Centre had already run two successful Pathfinder courses: “The whole experience has really helped the veterans who attended.